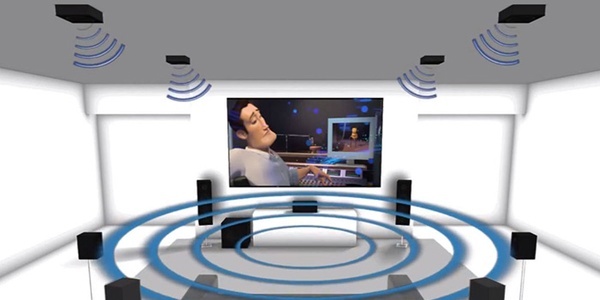 Dolby Atmos was first rolled out in 2012 for big theaters. A theater that is configured for the new sound system comes equipped with 128 speakers situated around the auditorium, some along the walls, and some mounted on the ceiling. The idea is that various sounds would come from the direction where they would manifest during the scene. A lightning strike would sound from one or more of the ceiling speakers, for example. Speech, bullet shots, explosions, and car engines would come from specific directions in the auditorium, creating a more realistic and thrilling cinematic experience. Dolby Atmos is starting to show up in home theaters, with speakers being made available that can bounce sound off of ceilings to recreate the experience that one might have in a movie theater. However, for Netflix content, a limited number of devices will be supported, including LG televisions, Xbox One and Xbox One S. One’s home system will have to be set up to stream Dolby Atmos content with configured speakers, but Xbox owners will be able to enjoy the experience virtually using headphones. The addition of Dolby Atmos surround sound demonstrates that Netflix does not just regard other TV networks as its competitors. It is attempting to entice customers from going out to the movies, which have a lot of video and audio technology and get them to stay home and enjoy an evening of Netflix movies instead. Good content and new home theater technology are elements in Netflix’s drive to become the dominant force in home entertainment. Going out to the movies, something that people have been doing since the early 20th century, has a number of disadvantages. Besides the physical hassle of getting into a car, finding parking, and buying a ticket, the movie experienced often involves expensive, low-quality concession food and unruly members of the audience who talk or otherwise misbehave, ruining the film experience. With a big-screen home theater, access to much better food, and a better quality of fellow viewers, Netflix can offer much the same movie experience for a monthly subscription fee that is often less than the cost of a single ticket. Thus the live streaming service may be putting the experience of going to the movies on the ash heap of history.